Love doesn’t believe in age and Priyanka Chopra proved it right when she got engaged to Nick Jonas at her residence in Mumbai on 18 August 2018. 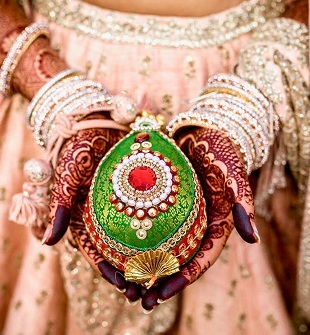 The engagement was held in full colour and vigour in Punjabi Roka style. A big Punjabi Engagement, Priyanka’s close friends were seen at the engagement party after the ceremony. They took to the Roka Ceremony in a traditional way with Priyanka wearing a yellow salwar kameez designed by Sandeep Khosla and Nick Jonas was seen wearing a White Sherwani. Priyanka just looked stunning at her engagement, and so did her beau. Here are some of the most beautiful moments from Priyanka Chopra’s Roka Ceremony. 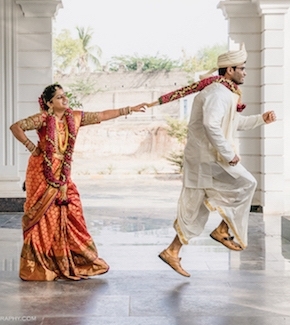 The couple decided on keeping a classic theme of gold and white for their engagement party. The pictures speak a lot about the bliss and happiness on the faces of them as they celebrated their relationship. Nick Jonas and his family welcomed Priyanka to their family with all their hearts when they wore Indian attires at their engagement. Nick’s family showed their interest in Indian rituals as they decided the engagement to be held in Indian form. Nick’s father was seen wearing a white kurta and pyjama and his mother wore a simple green suit. 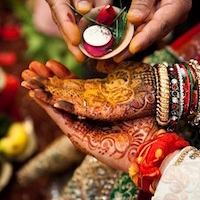 Indian marriages are also about bonding between two families and both families complemented each other well. 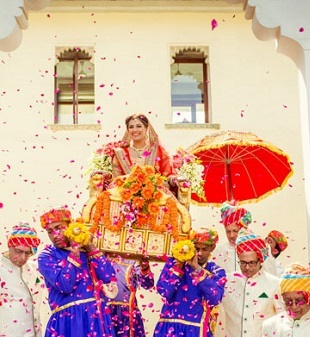 The Roka ceremony later made its way into the engagement party which was styled with glamour and glittery. Many of Priyanka’s close friends were seen at the engagement. The guest list of the engagement included Alia Bhatt, Manish Malhotra, Karan Johar among others including her sister Parineeti Chopra. The actress took to Twitter to express her emotions of her sister’s engagement. Mukesh and Nita Ambani made their presence to Priyanka’s engagement and everyone expressed their blessings to the couple. One of the best moments from Priyanka Chopra’s was that not only it saw the exchange of rings among the couple but they also exchanged diamond bracelets as a symbol of their love. The bracelets were designed exclusively by Gems Art Plaza in Jodhpur. With the dawn of their new beginning first sighted in Instagram, Priyanka has indeed found the man of her dreams. Pursuing a career in Hollywood has given the biggest blessing of all to her: her life partner. Priyanka showed her ring by posting a picture of her and Nick gazing at each other, while Nick captioned the picture as “Mrs Jonas”. Wishing Priyanka and Nick the best wishes for the future.